Genistein and Hashimoto's Disease - Dr. Nikolas Hedberg, D.C.
Genistein is an isoflavone which is a plant-derived compound with estrogenic activity. It falls in the class of phytoestrogens and is found in soybeans. Clinical studies in the past have demonstrated that this compound has immune-regulating properties by exerting anti-inflammatory effects in certain health conditions including encephalomyelitis (inflammation of the brain and spinal cord), cardiac inflammation resulting from diabetes, coronary obstructive pulmonary disease (COPD) and other serious diseases. In this study, Zhang and four of his colleagues began by pointing out that Hashimoto’s thyroiditis is now considered the most common autoimmune disease in the world. It is believed that excessively stimulated thyroid-helper cells play the main role in giving rise to the autoimmune condition in Hashimoto’s thyroiditis patients. While conventional treatment has typically addressed only the symptoms of the illness via oral administration of a thyroid hormone replacement, the fact remains that there is still an autoimmune condition in Hashimoto’s thyroiditis which can be a concern. Why is it problematic for an autoimmune condition to persist in an individual with Hashimoto’s disease? Previous studies have demonstrated that in those with fully or partially functional thyroid glands but not “fully hypothyroid Hashimoto’s patients”, long-term Hashimoto’s thyroiditis closely correlated with the prevalence of thyroid cancer. Chronic inflammation is never beneficial for the body so if someone is invested in his or her health, mitigating any autoimmune condition would be prudent. In this investigation, the researchers wanted to evaluate any beneficial anti-inflammatory properties of genistein for those with Hashimoto’s thyroiditis and examine what impact it might have on the chronic inflammatory condition associated with Hashimoto’s disease. 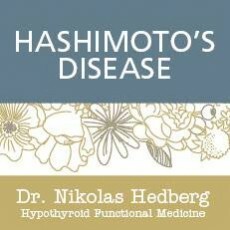 Two-hundred eighteen female subjects between the ages of 20 and 80 were recruited, all with Hashimoto’s thyroiditis. 7. Presence of serious illnesses such as cancer, kidney or liver failure. The 278 females with Hashimoto’s were split into two groups with 143 in the placebo group and 135 in the genistein group. Patients in the genistein group were given 600 mg per day of genistein as a purified soy extract taken orally for thirty days. What lab work was required? Thyroid-helper cell bodies (Th1 and Th2) which we will refer to henceforth as inflammatory markers. These blood draws were taken before and after the genistein treatment. Significant differences in thyroid function were observed in the group that took genistein. How was this manifested in the bloodwork? What do all of these observations mean? 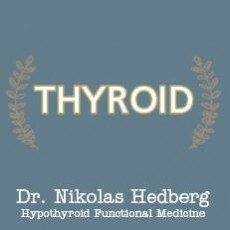 When T4 and fT4 go up and TSH goes down, this means that thyroid function is improved. When the thyroid antibodies were examined in the genistein-treated group vs. placebo, those who took the genistein after one month showed a decreased level of thyroid antibodies. What is the takeaway message from this study? A month of supplementing with 600 mg of genistein was effective in improving thyroid function and reducing the autoimmune condition in Hashimoto’s patients! What was the impact of genistein on the inflammatory markers (TH1 and TH2)? Previous studies had concluded that genistein works by regulating the immune response in Th-cells. In this study, compared with placebo, two of three Th1-producing inflammatory markers did change significantly after the genistein treatment. While there was no change in Th2-producing inflammatory markers, genistein did play a significant role in modulating inflammation in the Th1 cells so basically that means less inflammation was seen in thyroid tissue. The immune-regulating effect of genistein on Hashimoto’s thyroiditis patients was mediated through the function of Th1 cells only. Th2 cells were not affected. But this is still great news. Any time you reduce an inflammatory condition in Hashimoto’s thyroiditis patients, you reduce the risk of thyroid cancer. Based on prior research, even if someone has taken a thyroid replacement to improve symptoms of Hashimoto’s thyroid disease, the tendency towards higher inflammation in whatever thyroid tissue remains in a Hashimoto’s patient increases the risk of thyroid cancer. What has been done about this cancer risk in the past? The notable news here is that these researchers found that just 600 mg/day of genistein over a 1-month period improved both hypothyroidism and the chronic thyroid autoimmune condition. What is also significant about these results is that because the T4 levels and free T4 levels increased, this might mean that a Hashimoto’s patient could lower one’s replacement thyroid dosage if taking synthetic levothyroxine. TSH was also lowered. Why would an increased TSH level be of concern? TSH, as with the inflammatory marker TH1, has a role in the development of thyroid cancer in Hashimoto’s thyroiditis patients as demonstrated in studies by Fiore and Vitti and Fiore et al. Zhang and his team of researchers determined in this study that genistein reduced TSH levels markedly which the authors concluded may help to reduce the prevalence of thyroid cancer in Hashimoto’s thyroiditis patients. The thyroid antibodies are another measure of autoimmunity. In this study, genistein lowered both thyroid antibodies (TPO and Tg), suggesting that genistein mitigated the autoimmune condition in Hashimoto’s thyroiditis patients. Overall, genistein was shown to be effective in improving thyroid function and reducing autoimmune activity as measured by the decreased presence of thyroid antibodies and the decreased levels of the inflammatory marker TH1 in Hashimoto’s thyroiditis patients. This was the first trial that demonstrated the efficacy of genistein in Hashimoto’s patients. Doesn’t soy inhibit thyroid function? 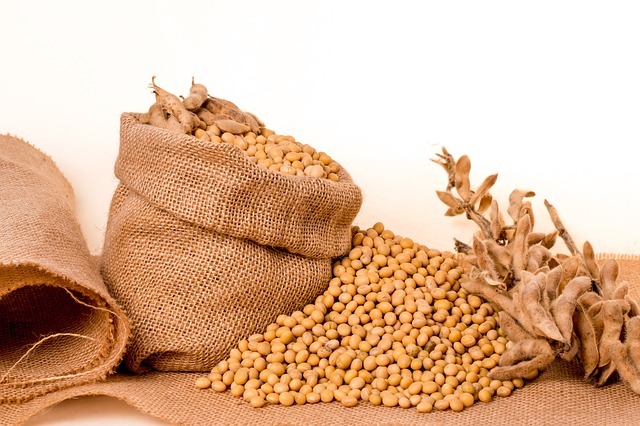 Genistein is an extract from soy so it doesn’t contain any goitrogenic activity. Goitrogens can inhibit thyroid function but only if they are consumed in excess. You would have to eat large amounts of raw vegetables and other plants that contain goitrogens to see inhibition. Also remember that many goitrogens have compounds that actually improve thyroid function which can offset the goitrogens. So, do we all want to include genistein in a Hashimoto’s disease healing plan? By now, all of my followers know that we need to take into account any weaknesses of the study before making the decision to supplement with genistein for Hashimoto’s disease. The researchers noted that a longer-term clinical trial, beyond 1-month’s time, would be recommended to see if there are any side effects or issues with taking genistein. Additionally, the authors pointed out that genistein has a chemical structure that lends itself to a rapid decline in blood levels when taken orally. Would thyroid function and autoimmune activity be improved if genistein is taken over a year’s time, for example? Would the improvement in thyroid function and a decrease in the autoimmune state that we saw in a one-month trial period end up plateauing or leveling off if genistein were administered over longer periods? Given the study’s brief time frame, I conclude that genistein offers favorable short-term potential in improving not only thyroid health but reducing one’s risk of developing thyroid cancer by reducing the autoimmune condition (and chronic inflammation) but studies of greater duration would be highly recommended to evaluate if the benefits of genistein would endure.